“Peter’s performance was truly a thrill… to see a real master of sleight of hand performer his ‘miracles’ just inches from your eyes is truly spectacular. After he left we just kept saying, ‘How did he do that!? Close Up Magic – Magic that’s intimate, immediate and personal. Close up Magic happens right without stage lights, smoke machines or camera tricks. It’s magic close enough that you can reach out and touch it. Close Up Magic happens in the hands of the magician or in YOUR hands! Objects appear and disappear. Things float or ‘morph’ while you watch, just inches away. Whether it’s called ‘strolling magic’, ‘hand magic’, ‘illusions’ or ‘sleight of hand’, its effect is undeniable and lasting. Peter’s close up magic makes the most jaded spectator laugh out loud with surprise and shake his head in disbelief. Although Peter travels internationally, he’s always excited to perform in his own backyard. 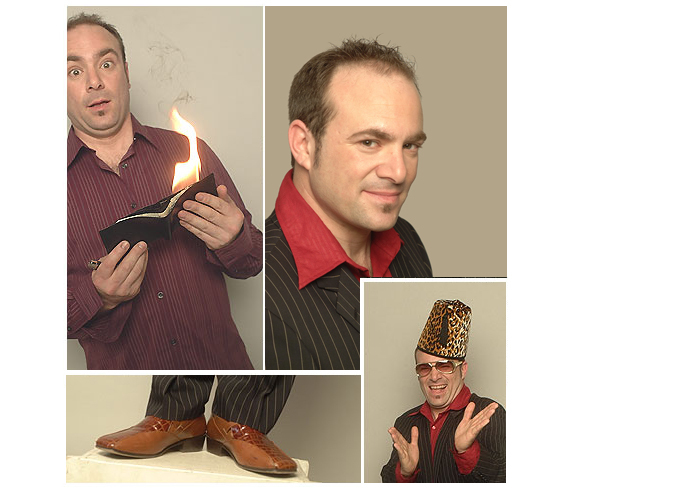 His award-winning magic show, MAGIC AND OTHER SUSPECT ACTIVITIES, has been seen all around over the North East including Portland, Nashua, Manchester, Hartford, New Haven, New York City and at every venue around Boston. While many comedians prefer clubs and bars, Peter has always craved audiences that are smart and discerning and his humor is always clean. He’s been invited to the White House, performed at the Kennedy Center, Canada’s National Theater and has made numerous TV appearances. He has been invited to perform in Germany, Spain, Scotland, and Japan. He also won two silver medals at the Oranjeboom International Variety Performer’s Competition in Rotterdam, Holland. Peter has performed at universities including Harvard, Brown and Yale and for Fortune 500 companies including McDonald’s, Microsoft, Intel, Bain Financial, AstraZenica, Ecco Footware, Prudential Bache and General Dynamics.